A damaged lock doesn’t necessarily mean that you need to spend a hefty amount buying a new lock, at least not when you use our services. Unlike other locksmith services whose only aim is to squeeze even the last possible penny from your pocket, Village Locksmith Store tries its best to only charge for what is necessary. That is why when a lock repair can do the job why would we suggest a lock replacement. Locks are built to last for years and a simple blow or seasonal damage can be simply repaired and your lock will be back to top-notch condition. We understand that in some cases a lock change becomes inevitable but you really need to understand that most of the times these situations are created to fool you. Read on so the next time you are not fooled into believing that you need a lock change. As discussed earlier, a damaged lock doesn’t always mean that you need a lock replacement. Secondly, you may need to change your lock if you suspect that an ex-tenant still has the keys to your home but you can avoid lock change here as well by opting to rekey the lock instead of replacing it and saving precious money. All in all, lock change can be avoided to a certain degree but if a lock is damaged beyond repair or if you feel that a certain lock is not able to protect you anymore, you should immediately replace it. Damaged or faulty locks can cause unwanted trouble if they are not immediately repaired. A burglary attempt often leaves a lock damaged and your home or office vulnerable to a further break-in attempt. That is why you need experts who can repair locks at a moment’s notice and make you feel safe again. Concentrating on your security right after a break-in is not easy but repairing damaged locks might be the smartest step that you would take right after a break-in. The thieves know that the locks at your property are damaged and may try to break into your home again. 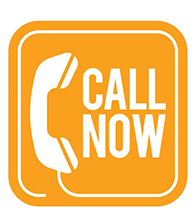 Give us a call right away after a burglary or break-in for instant lock repairs. 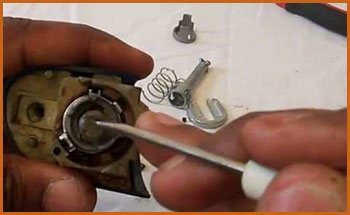 For quality lock repair services in the Dallas, TX area, call us on 214-382-2786.